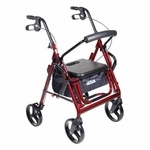 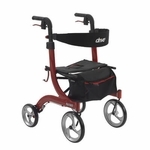 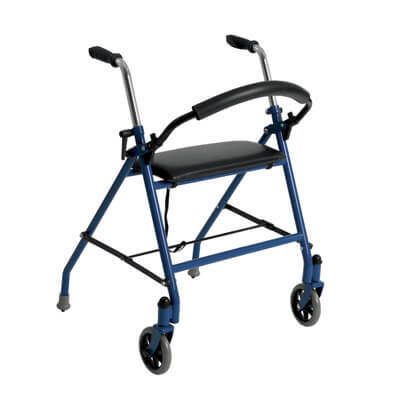 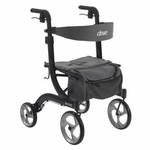 The support offered by Drive's Two Wheeled Walker with Seat makes it a great mobility aid if you experience weakness in your legs, have difficulty keeping your balance or are at risk of falling when walking. 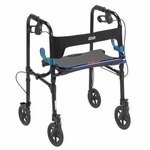 Configured with handles like a Rollator, the walker's large swivel front wheels eliminate the need to pick up the unit to advance it, making for smooth, easy movement. 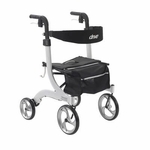 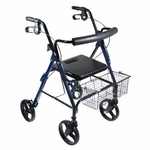 Plus, the walker adds a comfortable, convenient seat and backrest that let you take a break wherever you go. Stopping is quick and easy by pressing down on the rear legs to brake. 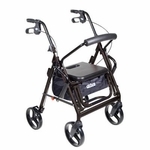 And the whole lightweight unit folds easily when not in use.